Simple, elegant 14K Gold Filled triangles with a Chrysoprase bead at the bottom. Just beautiful! 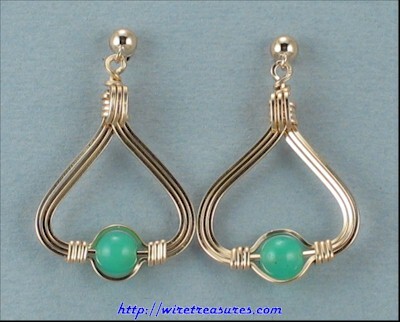 These earrings are more expensive than the others of this design due to the very high cost of Chrysoprase. These hang down from 1-5/8" to 1-3/4". You are visitor number 4,640 to this page.